I need to keep repeating that mantra this week. There were (and are) so many events and activities in my life this week, I needed today to relax and get ready for Round Two, so to speak. It’s the beginning of my harvest season. 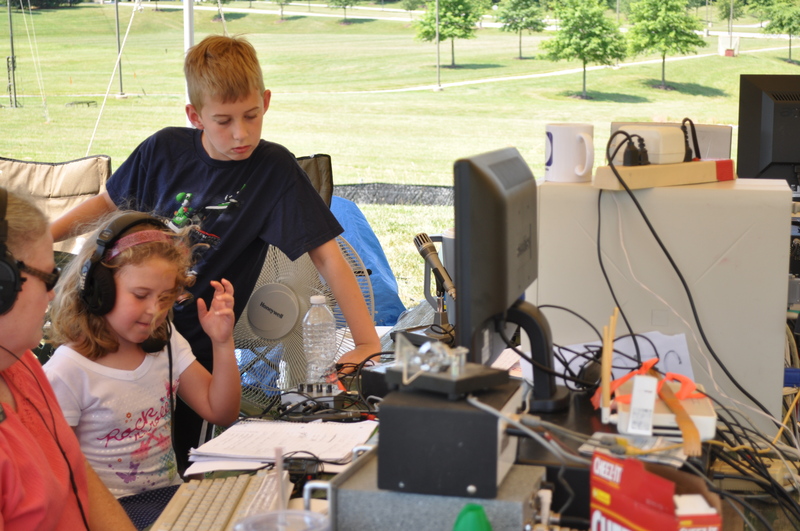 It’s the annual Amateur Radio Relay League (ARRL) emergency preparedness activity, otherwise known as Field Day this weekend. There were blogger parties, which I missed. A crab feast on Kent Island, that I did get to attend. CSA pick up. Friends and Farms pick up. Making pickles. Making salads and sides for Field Day. Ordering ten pizzas for set up day tomorrow. Getting to Costco for my part of the provisions (oh, and add to that the fact the car broke down in their parking lot). I also missed a Conservancy event, Fiddlers and Fireflies. Just too tired to get there. I can’t believe how many things there are to do around here. This is such an active area. Lots of outdoor things to do. Today we got a note for volunteers to help with a Columbia Families in Nature event this Sunday out at Mt. Pleasant. 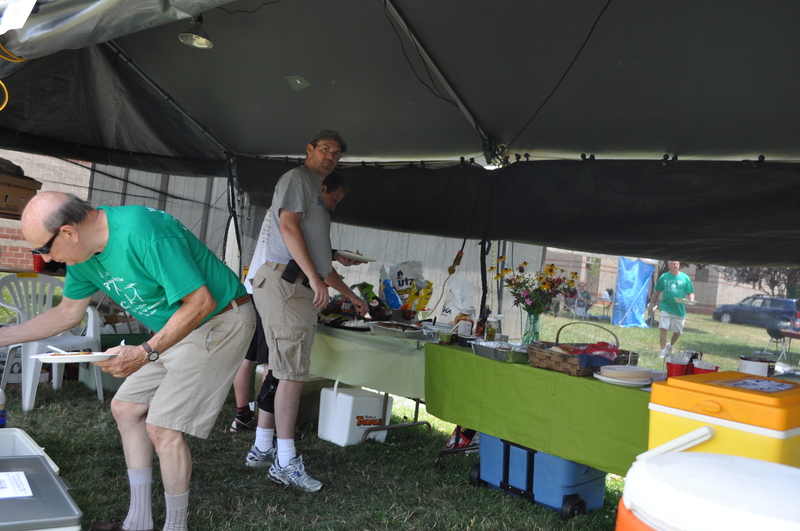 I will still be tearing down our makeshift kitchen at our Field Day site. Plus. Squeezing in a visit to Lisa, a fellow volunteer and blogger, who is embarking on a trip around the world with her family, for a year. Bon Voyage to Lisa. Can’t wait to follow your web page with your journal. By the way, we love visitors to our Field Day site. Have you ever wanted to contact someone from Canada, or Hawaii, or Alaska or any of the other states? We put up a fun station for those not licensed to try out their communication skills. Children love to come talk to people on the other side of the USA. The Field Day event runs from Saturday 2 PM until Sunday 2 PM. We are at Triadelphia Ridge Elementary School. Our GOTA (get on the air) station is always a big hit with local families. Come see us. Maybe you will also see our satellite capability operators contact the International Space Station. They have done it almost every year. All in all, even though it is exhausting, I wouldn’t trade living here for anything. So many great things to do. Not enough hours in the day. 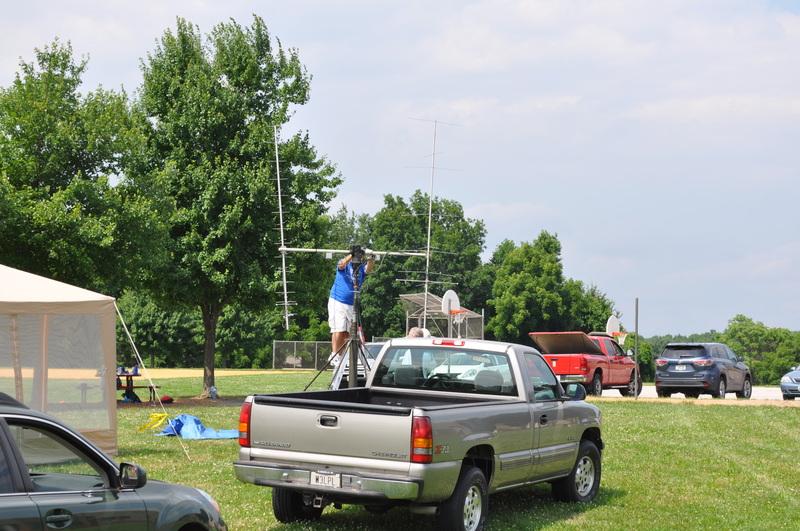 Posted in Adventures, Community, Hobbies, Volunteering and tagged amateur radio, community, hoco loco, Howard County, howard county conservancy, volunteering, West HoCo. Bookmark the permalink.